What if you could make your bathroom look and feel bigger without the pain of a lengthy renovation? 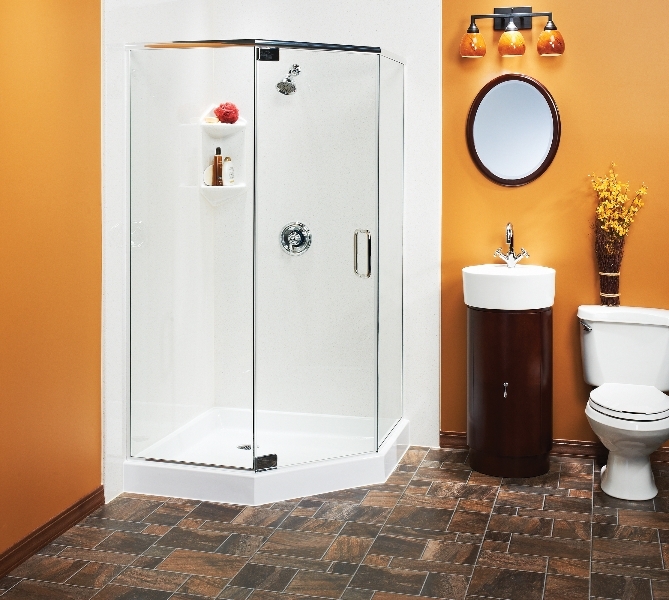 With U.S. Patio System’s extensive line of shower door options from Home Depot, now you can. Trade in your old-fashioned shower curtain for a custom-built shower door, and watch the entire room expand and transform before your eyes. All-glass panels make your room feel more open and airy, and add a modern touch for more visual appeal. The room will feel so different, you’ll hardly recognize it. Your new shower door is yours to design. Choose between a framed option that complements your decor and an unframed option that feels sleek and expansive. Decide whether your door will slide to open or pivot to swing in and out of the tub, and add personal flair with your pick of accessories and shelving. You also have full control over your glass finishing, whether clear, frosted or opaque is more your style. Our professional home renovations staff will custom-build your new shower door to fit the exact measurements of your space. We’ll also handle the entire installation—all you have to do is enjoy. To learn more about our custom shower doors, or about the many other bathroom remodeling services we offer, contact our expert staff today. With the help of U.S. Patio Systems, your dream bathroom is within reach.